Rack system 600 x 400 is suitable for any glass. 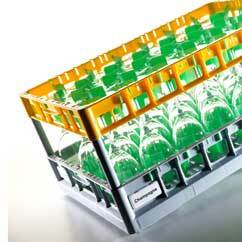 The dishwasher racks can be adapted modularly to the glass height and glass diameter. Coding possible with colored corner profile – makes it easier to distinguish the racks and to see them quickly when using them day to day. Made from plastic suitable for use with foodstuffs.